Welcome to the Pearl Brewing Freight Cars Page. 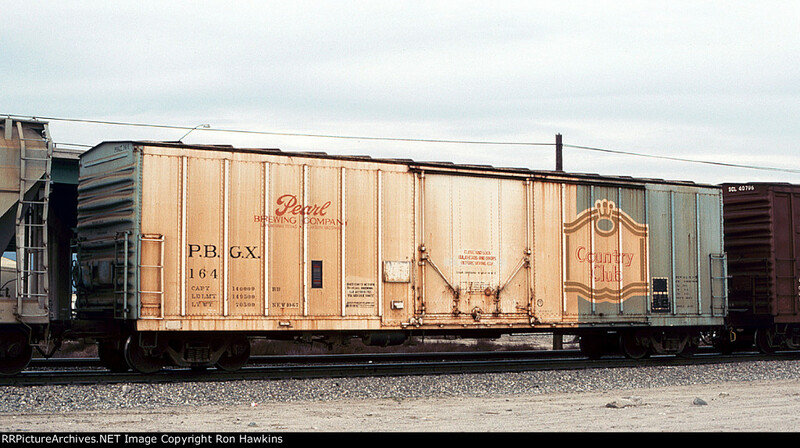 Pearl was a San Antonio, TX based brewery that used a fleet of owned or leased insulated box cars (PBGX, MKGX and possibly others) to transport their product across the United States. In 1961 Pearl bought the M. K. Goetz Brewing Company of St. Joseph, MO. The entire company was bought by Pabst in 19xx.